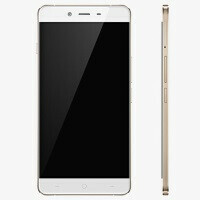 Oppo A30 listed on Oppo's website, 2013 Android flagship specs galore! Always hard at work on new things, Chinese mobile tech maker and purveyour of fast charging Oppo has a new handset coming up. After making an appearance over at TENAA (the Chinese FCC), the Oppo A30 has showed up on the company's website. It looks a lot like the OnePlus X (which makes some sense, as Oppo and OnePlus are affiliated), and funny enough, its spec sheet reads like that of a flagship smartphone from 2013! The Oppo A30 has a 5-inch 1080p resolution display and is powered by the 2.0GHz quad-core Qualcomm Snapdragon 800 32-bit processor. This was a great Qualcomm chipset back in the day, serving smartphones like the original Nexus 5 quite capably even now. It also provided an excellent foundation for the successful SD 801 and SD 805 chips that followed. Additionally, the Oppo A30 comes with 3GB of RAM and 16GB of built-in storage that can be expanded via microSD card. It runs Android 5.1.1 Lollipop out of the box and features a 13-megapixel rear camera with and LED flash and f/2.2 aperture, along with an 8-megapixel front-facing camera. The handset is powered by a 2525mAh battery and being a Qualcomm-powered phone, it offers a complete repertoire of connectivity options, such as 4G LTE, 3G, 2G, WiFi 2.4GHz 802.11 b/g/n, Bluetooth 4.0, GPS, and GLONASS. Unfortunately, the official pricing and availability details haven't been revealed, but at least we get an idea of where Oppo is going with the smartphone. A Chinese user who leaked the hands-on images of the device below and is obviously familiar with the matters, claims the handset costs around $306 (1999 yuan). If that's the best Oppo can offer at this price, the A30 stands no chance against the Xiaomi Mi 5, which is a modern, Snapdragon 820-powered smartphone with jolly good looks that's already up for pre-order at the same price. Chinese OEM mentality: so let's put a huge black border surrounding the screen and hope nobody notices. Wow won't you look at those "thin" bezels! We win! still better than apple watch's "black bezels"
69 x 6.9 x 140mm. That's pretty compact for a 5 inch phone! Now why can't sony release an x series with that length and height? That would sacrifice the stereo speakers, waterproofing, and thick sturdy frame. You can get a new Galaxy S5 for close to that price. Its very like OP X, is it has the "Alert Slider" too. 'Cause in TENAA there are same "Alert Slider" with the OP's one. "If that's the best Oppo can offer at this price, the A30 stands no chance against the Xiaomi Mi 5" so despite Oppo releasing many phones, PA still doesn't realise that Oppo doesn't bother itself with the price race to the bottom like Xiaomi actively does? Yeah, just like HTC. Offering so-so performance at mainstream price. Arrogant at best. Snapdragon 800? It seems like oppo is still living in 2013 and I can't beleive that Qualcomm is still selling this SoC to their partners. “Outstanding One” The Oppo F1 is one that is great with the Features and look. Its touch even works great. The Oppo F1 works outstanding with selfie experts. The selfie expert is one with all the configurations that actually you need for your smart device. “Unbeatable” The Oppo F1 Plus is the one that is all you ever wanted. One can find out all the required details from the Oppo F1. All the features are covered under this Oppo phone, you can get your Superb Selfies and lot more. Awesome phone.